Colombia is home to a diverse community. Medellin is the country’s second largest city, which is nestled in the Aburra Valley of the Andes Mountains. The city is nicknamed “the City of Eternal Spring” due to its climate and mild temperature all year-round. This city is famous for having some of the most beautiful girls in the world. The people in Medellin are some of the most welcoming and open people there are. They are not only open-minded, but they are physically attractive as well - especially the women. Foreigners are always smitten by the beauty of Colombian women and Medellin holds some of the country’s finest. Women in Medellin Women are among the most beautiful the city has to offer. Their search for genuine love and a long-lasting marriage can start with you. Your dream in finding the perfect Medellin bride can become a reality through us. Grab the chance to travel to one of Colombia’s busiest cities that holds some of the most beautiful women in the world - Medellin. Experience this historically rich country with a beautiful Medellin woman by your side. Learn how to meet women in Medellin today and start your journey towards a Latin American romance now. 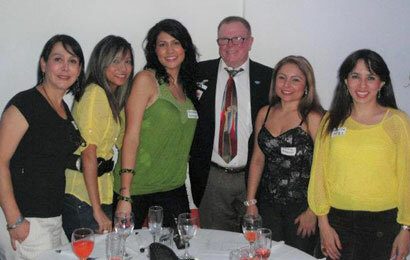 Join our tours and meet single Medellin women seeking foreign men for marriage. Women in Medellin are extremely proud of their city and this is quite obvious. They’re passionate about their race, culture, and hometown. Their patriotic mentality speaks volumes about their loyalty, dedication, and their adherence to traditional values. These ladies are surprisingly friendly and easy-going when you meet them for the first time. Along with their beauty, their femininity is also what makes them outshine other women. Medellin women are not as petite as those in the neighboring Latin American countries. Their built and physiques closely resemble the ideal feminine measurements in Western standards. 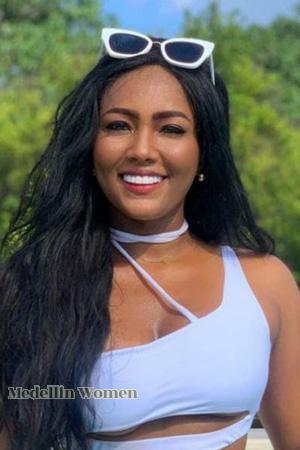 Colombian women, including women in Medellin, are extremely feminine in both physical appearance and behavior, which is what usually attracts men the most. The pay close attention to details and wear elegant outfits that show off their fit physiques. Don’t be intimidated though, these women are welcoming and hospitable to foreigners. Through our best Medellin marriage agency and matchmakers, your chance at introducing yourself and meeting hundreds of beautiful Medellin women is right at your fingertips. Grab the opportunity to travel to the rich city of Medellin and witness the beauty of Latinas today. Learn the interesting Medellin dating culture through our site, to fully understand these beautiful women. Any woman would want to have a man who is loyal, genuine, and responsible. Medellin women are one of the many that wish to find partners who can treat them the same way as they treat their men. In relationships, Latinas have a strong and vibrant personality to keep things consistently interesting. Their never-ending passion with just about everything in life is what makes men want to stay and settle down with them. The dating culture and marriage culture of most Latin American countries revolve around the old-fashioned 1950’s couples wherein the man is “the boss.” With this, roles are directly placed between the couple; although this cultural trait is changing. Many women in Latin American countries tend to behave like Western women when they migrate abroad. Most people view these women as ones to go after the wallets of their partners, rather than love. This is highly misunderstood though, as single women in Medellin love being pampered and simply want to be cared for. Some men find this attractive, while some choose to degrade them by labeling them as “gold-diggers.” This is one of the reasons why most of the women here in Medellin Women prefer men of age. Their perspective in looking for older partners is mostly due to their experience in handling relationships and marriage, compared to those with little experience. They want to commit to partners who are genuinely true to their feelings and can treat them with consistent respect. Their skills in maintaining a stable household and relationships are well worth the effort. The culture and traditions of Medellin women are very interesting to learn about. It’s ideal for you to learn more about them if you wish to meet and date these Colombian women. For more relevant information, you can also check out our article on marrying younger Medellin women from our site. Register for free today and meet hundreds of Medellin girls when you join our singles tours! Women in Medellin are said to be the most attractive in Colombia. Physical appearances and aesthetic beauty matter a great deal with Colombian women. You can easily observe this with the many beautiful and fit women running around the city streets and in the gyms. These ladies are extremely beautiful and feminine, which are qualities that are sure to attract men from any race, culture, and country. 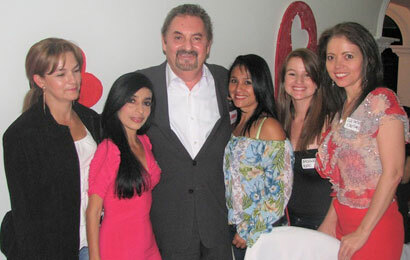 Overall, women in Medellin are very warm, approachable, and friendly. These traits are surely what makes them attractive to any man. Most of these single women are fun and interesting, always ready to travel, dance, and enjoy life. When it comes to relationships, their strong personalities and fiery passions are what makes men stay for the long-run. Get to meet these beautiful ladies through our Medellin Singles tours and experience their Latina charm firsthand! Registration is completely free and offers many other benefits as well!